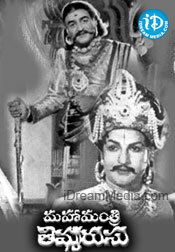 Mahamantri Timmarusu is a 1962 Telugu historical film directed by Kamalakara Kameshwara Rao. Versatile character actor Gummadi Venkateswara Rao played the key role, while N.T. Rama Rao the role of Krishnadevaraya. 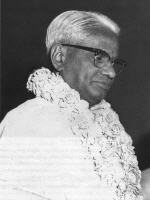 K. Kameswara Rao or Kamalakara Kameswara Rao (14 October 1911 – 29 June 1998) was an Indian film director known for his works predominantly in Telugu cinema, and few Tamil and Hindi films. Widely known as Pouraanika Chitra Brahma, Rao has directed fifty feature films in a variety of genres. 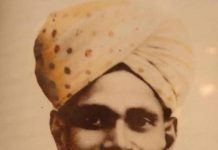 In 1960 he directed the biographical film, Mahakavi Kalidasu which won the President’s Silver Medal for Best Feature Film in Telugu. In 1962 he directed Gundamma Katha based on Shakespearean comedy, The Taming of the Shrew. 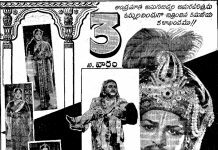 which received mixed reviews from critics but was commercially successful, completing a 100-day run in 17 centers and a silver-jubilee run at the Durga Kalamandir, Vijayawada. 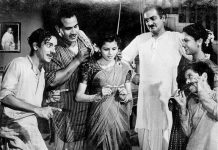 Gundamma Katha received the Filmfare Award for Best Film – Telugu. Though Gundamma Katha has achieved cult status in Telugu cinema, it has received criticism for its influence on stereotypes in the narration of other unrelated Telugu films. 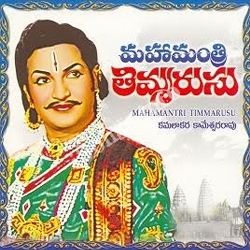 In the same year, he directed another biographical film, Mahamantri Timmarusu which won the President’s Silver Medal for Best Feature Film in Telugu at the 10th National Film Awards.In 1963, Rao directed the blockbuster, epic mythological film Nartanasala. The film is cited among CNN-IBN’s list of the hundred greatest Indian films of all time. 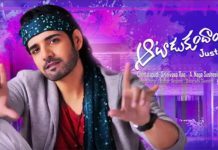 The film has received wide critical acclaim and has garnered the National Film Award for Second Best Feature Film at the 11th National Film Awards, and has secured the Filmfare Award for Best Telugu Film. The film received awards for best production design and best actor for S. V. Ranga Rao, at the Jakarta International Film Festival. 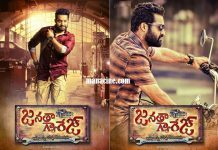 The story is about the critical role of Timmarusu (Gummadi) played during the reign of Sri Krishnadevaraya (NTR). The story begins with the pattabhishekam of Sri Krishnadevaraya. Before the function, he participates in the dance and music function of Chinna Devi (Vijayalaxmi). They get married and becomes his first queen. After coronation, Timmarusu arranges the marriage with Tirumala Devi (S. Varalaxmi) daughter of Srirangapatnam kingdom. Timmarusu slaps him on the cheek to remind him about the kickbacks while seating on the crown. He plans to attack Gajapathis of Kalinga kingdom lonely. Knowing about this Timmarusu reaches Kalinga and protects him. Pratraparudra Gajapathi (Mukkamala) wanted to kill him with the help of his son Veerabhadra Gajapathi (Prabhakar Reddy). However his daughter Annapurna Devi (Devika) openly opposes it and loves him. In a political dialogue, Prataparudra agrees to marry his daughter to Krishnadevaraya. After the marriage, he plans to kills him. With the help of Timmarulu he comes out of danger. They reach the Hampi with Rani Annapurna Devi along with Hamvira (Lingamurthy). Annapurna gives birth to Tirumala Raya. Hamvira creates differences between Krishnadevaraya and Timmarusu and kills Tirumala Raya. He convinces Rayalu that Timmarusu is the culprit. The court on the instructions from Rayalu orders to make him blind and imprison him. Before Rayalu Knows the fact, the punishment is implemented. However Timmarusu pardons him and their relationship continued. Mahesh next movie Under Vamsi Direction!